This Event Is Sold Out. For a similar event, please contact our sister venue Anthony’s Pier 9 at 845-565-3390. See their menu by clicking here. This Easter treat your family a beautiful buffet overlooking the picturesque Hudson River. 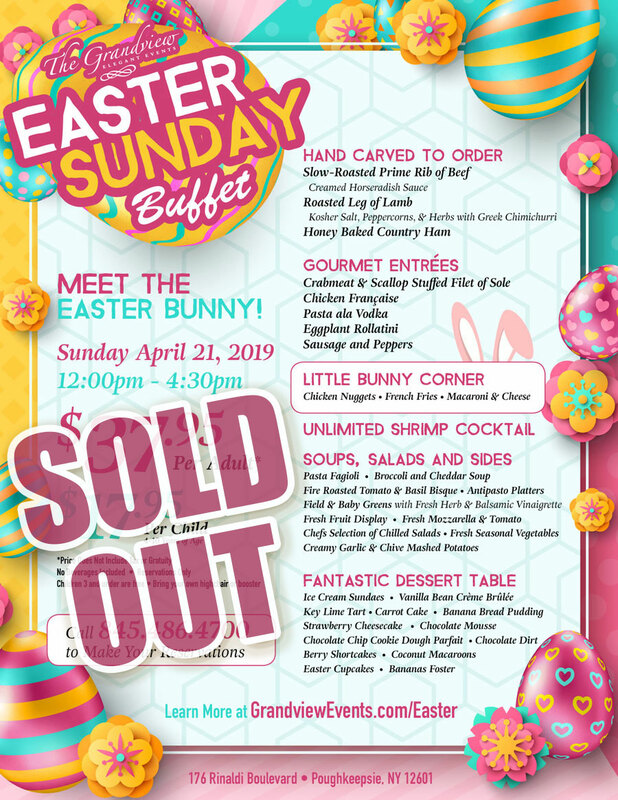 The Grandview staff is creating a wonderful Easter Sunday Buffet whole family will enjoy. Our culinary team is pulling out all the stops this year with Hand-Carved selections, gourmet entrées including crabmeat & scallop stuffed filet of sole, unlimited shrimp cocktail, soups, salads, and a phenomenal dessert table guaranteed to bring out the kid in all of us.